We’ve all heard the saying “frozen with fear”. It’s that brief but profound period of time where something is so shocking or terrifying that one can’t move. The body does not respond because the brain is overwhelmed with the danger at hand. 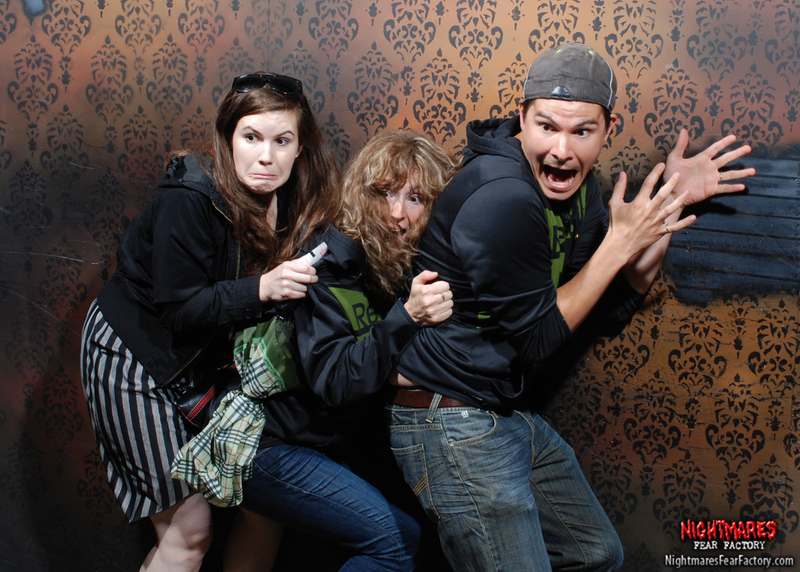 Or consider what happens to your body and your mind the moment you have the fright of your life in a haunted house. 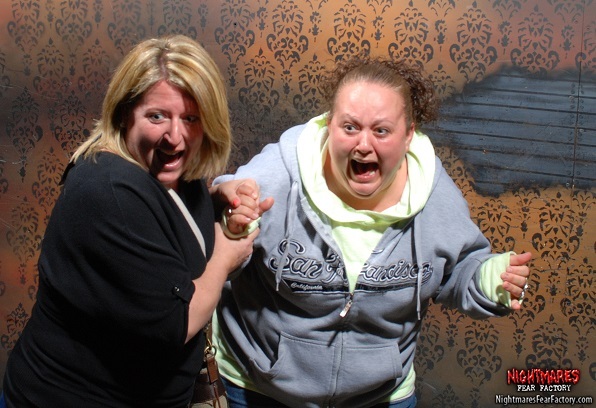 The image above is from the web site Nightmares Fear Factory. 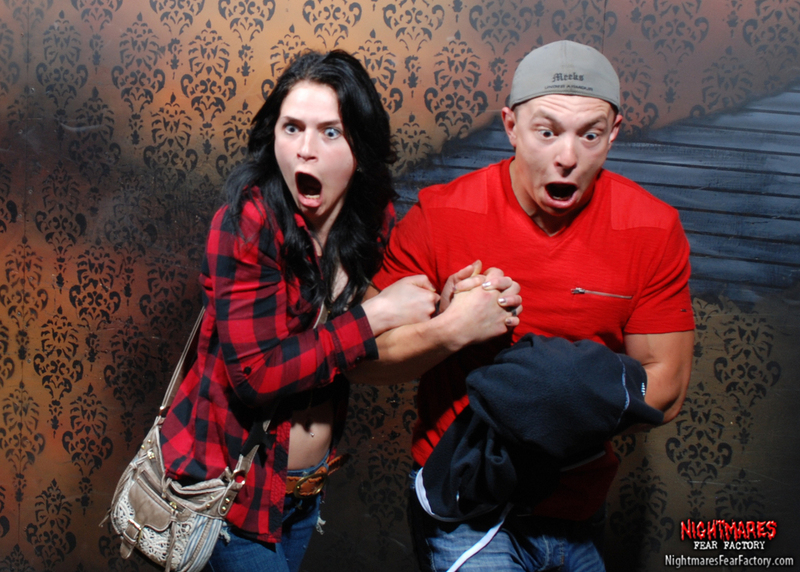 They are hugely popular images on the internet of visitors caught at a moment of time inside the Nightmares Fear Factory’s haunted house. Now let’s imagine these events happened within the first 5 minutes of a scheduled 30 minute tour through the haunted house. They still have 25 more minutes to take part in an experience where the tone has been clearly established as frighteningly intense. So what happens when they approach that next corner that they can’t see past? Are they relaxed and at ease? Absolutely not! Their body will reproduce the identical events it did from the first scare. Except all of those responses will happen BEFORE they even get to the corner. As they cautiously approach the blind corner and their body is in full anticipation mode-anticipation of the next blood curling scare-they ultimately see that there is nothing there. No threat exists at this corner. Yet their body and mind went through all the same events as if the next big scare actually took place. That pattern continues through the remainder of the tour with each anticipation of the scares almost as physically and mentally real as a scare itself. The source (which we can’t see) that created those responses in the photos is not the only part of that scare experience. Although likely not as obvious to those in the photos, the entire experience includes the people they are with, the smell of the room, the temperature of the room, the sounds and even how their clothes fit. And as the remainder of the tour continues, they all become part of the biological, psychological and social contribution to that experience. So what has this got to do with someone dealing with chronic pain? The scenarios can be almost identical except replace “scare” with “pain”. Let’s say for example that after a long flight you felt a pop in your back as you lowered your carryon from the overhead bin. You begin to feel your back tighten up and you experience the pain ramping up as you exit the plane. Beginning with the “pop” you felt, you would begin to experience those same 7 traits listed earlier. And whether you realized it or not, the physical pain itself is not the only part of the experience. The people you are with, the smell of the airplane and then the terminal, the temperature, the sounds and even how your clothes fit all become part of the biological, psychological and social contribution to that pain experience. These combined elements begin to form a neuro signature or neuro representation in your brain. Over the next couple of days as you are recovering from this episode, you experience those 7 traits any time you anticipate potential threat to your back. This could be something as familiar as putting on your socks. Some movements may in fact provoke pain but others may not. Yet the net result is very similar in terms of your physical and mental response. You can clearly see how patterns emerge that are counterproductive to your long term goals. And the reality of this is that we can’t and you can’t explain your way through process. Yes, you need an understanding but your body and brain also need proof. This is where a strategic and structured corrective exercise plan can create the movement confidence you need to no longer anticipate a threat when the threat is not valid. Pain is a very complex experience for everyone. And many people will attempt to chase one aspect or another of their pain. The science now tells us that we have to look at the entire bio-pyscho-social context from which chronic pain is experienced. Don’t live your life waiting for the next ghost or goblin around the corner. This entry was posted on Friday, October 30th, 2015 at 11:23 am and is filed under General public. You can follow any responses to this entry through the RSS 2.0 feed. You can leave a response, or trackback from your own site.